YORKSHIRE Laser Fabrication has designed everything from cryptocurrency cases through to premium architectural designs using the latest suites of high-tech and revolutionary design software. As experts in the field we utilise the versatility of our laser cutting software to create complex metal patterns and decorative design. Whether it’s a small screen or a large architectural design, we can assist with a vast range of decorative laser cutting. Designs can be sent digitally to Yorkshire Laser where they are carefully processed and laser cut into steel. Thanks to our high-tech software options our expert team of CAD engineers can take your complex designs and create a cutting-edge product that will work across international boundaries. Our latest project saw us team up with an Islamic art expert again to combine our design capabilities and laser cutting skills to bring functionality to art. 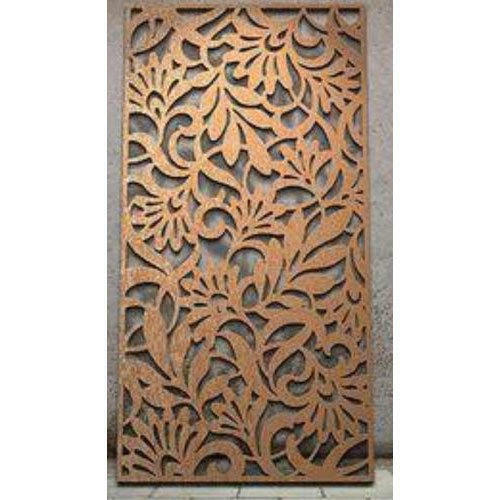 Author, educator and designer specialising in Islamic geometric design, Eric Broug turned to Yorkshire Laser Fabrications to manufacture bespoke Islamic inspired metal screens that he’d been commissioned to design and create for a client. Designed to fit internally within the space in front of floor to ceiling sized window panes, the screens are made of 8mm thick stainless steel which has been laser cut to precisely form an intricate Islamic geometric pattern. The shapes in the screen and flow of light coming through them throw artistic shadow patterns while the robustness of the metal provides security. Manufacturing intricate designs isn’t without its challenges but solving problems through good design is what sets Yorkshire Laser apart. Could we make your design become a reality? Contact us today.